Fantastic archtectural plant for the border of patio plants. These look great in sunny courtyards, are drought tolerant if you forget to water your planters now and again, and are fully hardy evergreens. 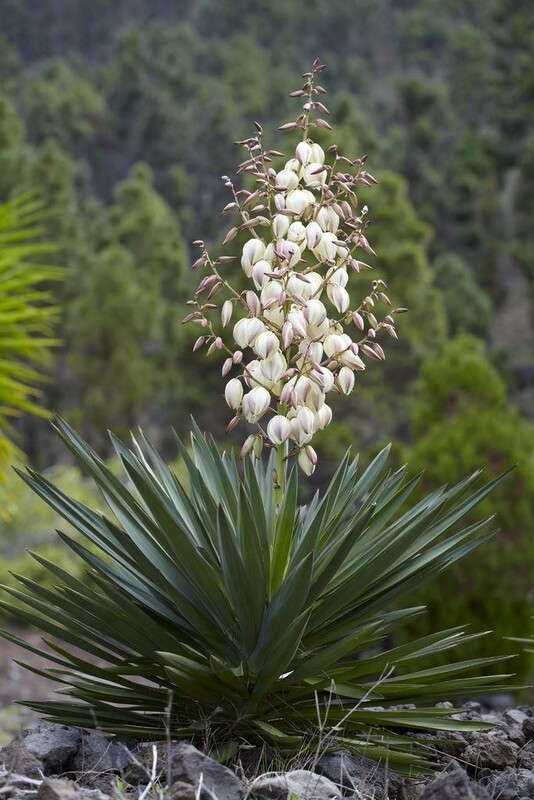 Towering spikes of white, bell-shaped flowers appear in July and August above clumps of stiff, dark green, lance-shaped leaves. 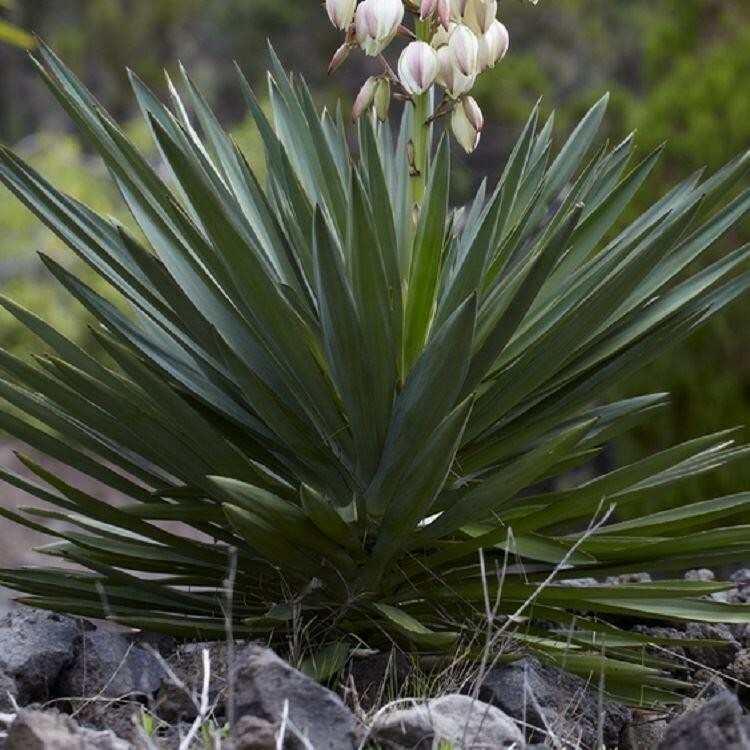 Known as Adam's needle, this will make an excellent focal point for a sunny, well-drained Mediterranean-style garden. A gravel mulch accentuates the architectural foliage. Plants supplied in approx 2-3 Litre containers.